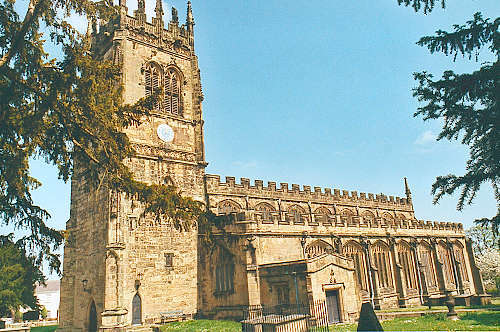 Until the early nineteenth century, the ancient parish of Gresford was of very great extent, as it included the chapelries of Holt and Isycoed, and the detached township of Erddig. On 30 June 1840, the townships of Allington, Burton, Marford & Hoseley (a total of 6780 acres) became the new parish of Rossett. In November 1851, the township of Gwersyllt went to the new parish of Gwersyllt. When Archdeacon Thomas wrote his "History of the Diocese of St. Asaph" (1908 - 1913), the parish of Gresford consisted of the townships of Gresford, Llay, Borras Riffri, Borras Hofa, and portions of Burton, Allington and Marford & Hoseley. For family history information about the church and parish, visit the GenUKI Gresford page.